Not that you really care, or want to know... But guess what? Dr Trouble will tell you anyway. Nakamura Hachimangu - sorry, the link in Japanese only - (中村八幡宮) is said to be one of the shrines built in 676 by Emperor Temmu’s (天武天皇) ordinance. Alternatively, it is said to be built in the mid 11th century by Yoriyoshi (源頼義) and Yoshiie (源義家) MINAMOTO. When they joined the Zenkunen War (前九年の役), which took place in Mutsu Province (陸奥国) - the tip of mainland Japan, they built eight shrines in the northern Kanto region and Nakamura Hachimangu is believed to be one of them. In 1189, this shrine appeared in the approved chronicle named, Azuma Kagami (吾妻鏡), stating that Yoritomo MINAMOTO (源頼朝) was against the Oshu FUJIWARA clan (奥州藤原氏 – Northern FUJIWARA, a ruler in Mutsu during the Heian Period (平安時代) and Yoritomo’s soldiers went on to conquer Mutsu. The Northern FUJIWARA clan was decimated by Yoritomo, because they harbored his (Yoritomo’s) enemy - Yoshitsune MINAMOTO (源義経). Actually, he was a younger brother of Yoritomo, though the mom was different. Yes, Yoritomo’s intention in this war was to kill his half-brother, Yoshitsune… And he succeeded… Poor Yoshitsune. Victorious Yoritomo. The usual stuff that history’s made of. Yoritomo’s troops, on their way to Mutsu, stopped at some shrines in Shimotsuke province (下野国), currently Tochigi Prefecture (栃木県), such as Futaara Shrine (二荒山神社) in Utsunomiya on July 25, 1189, Mamada Hachimangu (間々田八幡宮) in Oyama (we visited there for Ja-matsuri in May) where Yoritomo planted a pine tree (though it died in 1905), and Nakamura Hachimangu. They stopped at several other shrines on their way to Mutsu, praying for victory. All that praying definitely worked for them - they won. Here is one tip. 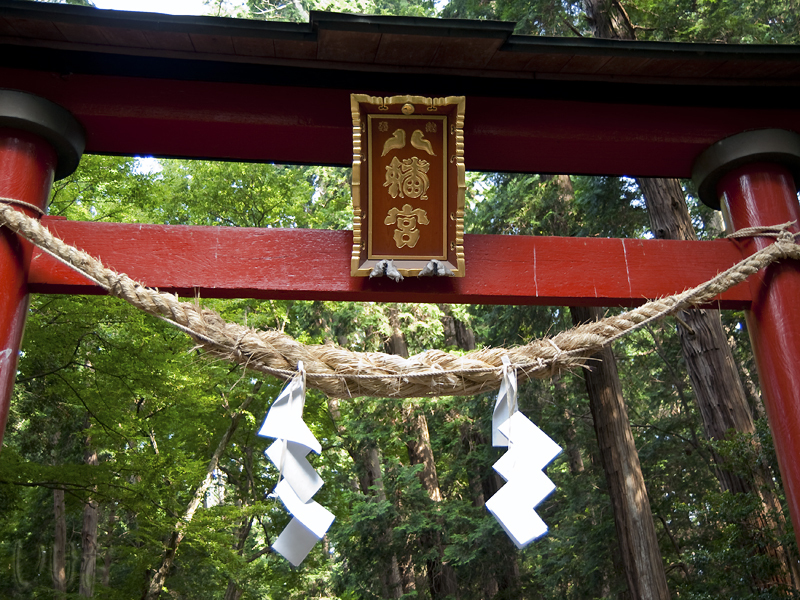 We have numerous shrines named “Hachimangu (八幡宮)”. 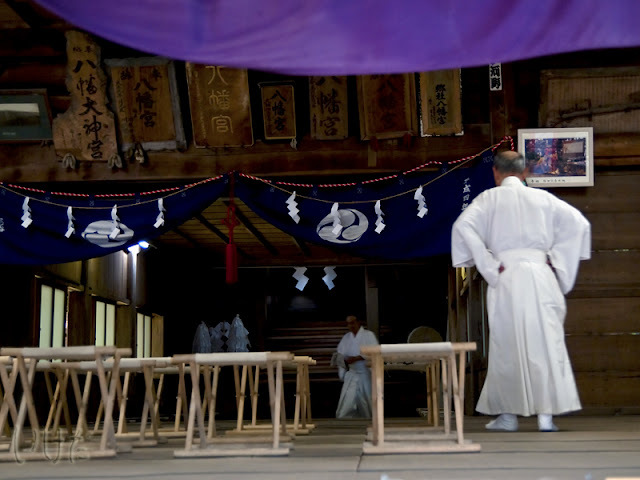 These shrines are dedicated to triumph in battle and skills related to martial arts. 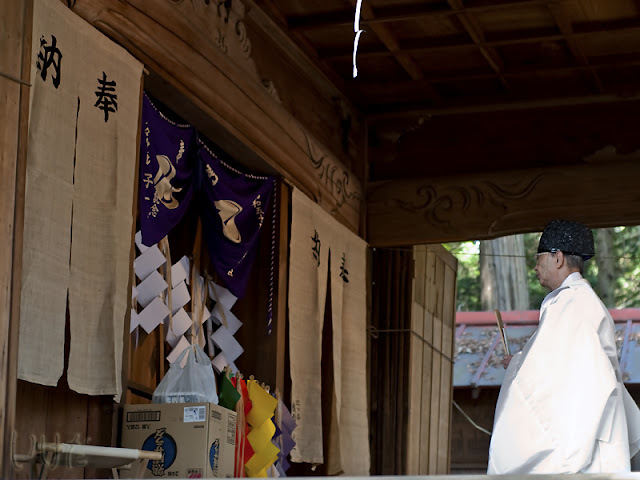 Hondawake no mikoto (誉田別命), who is considered to be identical to Emperor Ojin (応神天皇), is enshrined in every single Hachimangu. 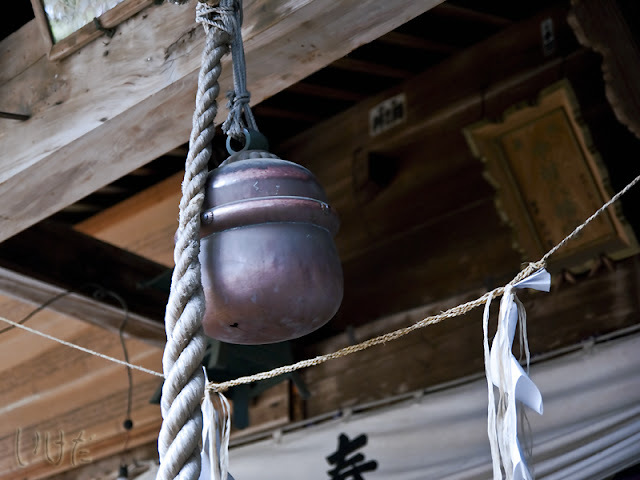 Therefore, the nickname of Hondawake is Hachiman-Sama (八幡さま). Probably due to the characteristics of Hachiman-Sama, Rei Taisai at Nakamura shrine includes Yabusame (archery on horseback) and a sword performance – both related to martial arts. Now, let's pray for victory. Very interesting historical background. Thank you.